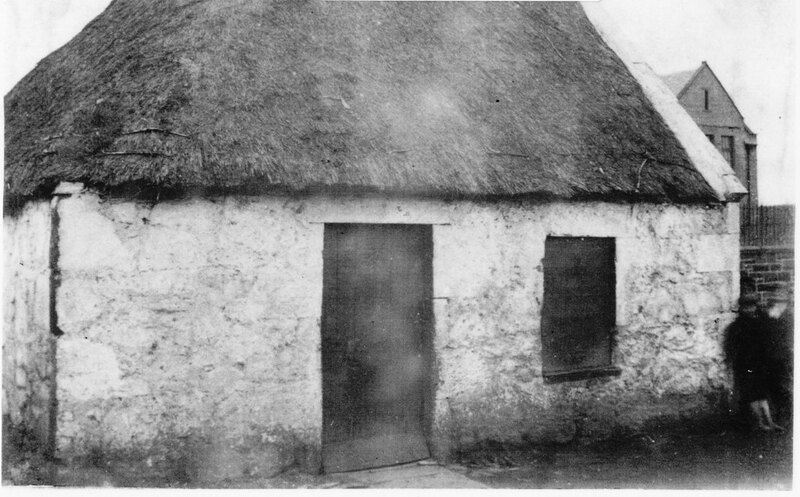 Addiewell Tollhouse - note the thatched roof. You can just see a bit of the old school behind it. 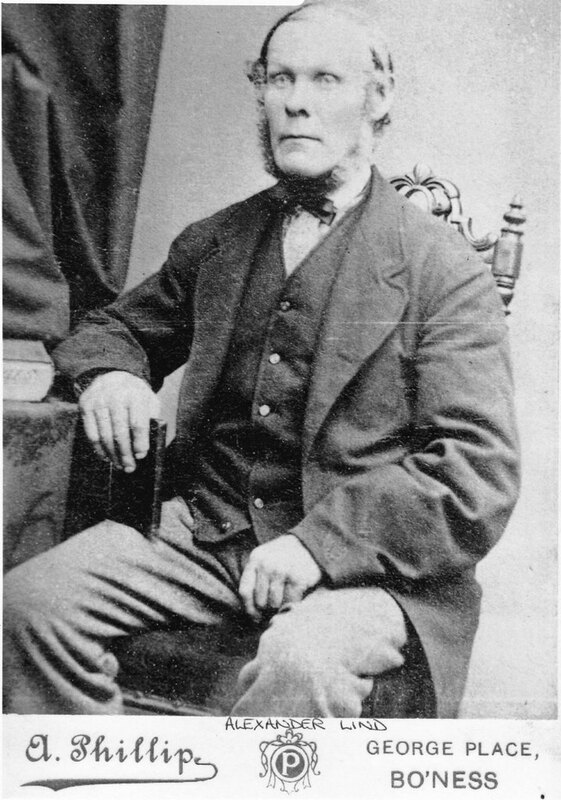 Alexander Lind (1823-1901), roadman and tollkeeper, first at Jarg toll near Rusha farm, then at Addiewell. M. Lind. All rights reserved, S1. 764. The tollhouse was built in the days when many roads were toll roads. Toll or turnpike roads were an 18th century innovation. Groups of local landowners would get together, borrow money and build a new road - or upgrade an existing one. The loan would be paid back out of the tolls that they would charge travellers. Every six miles or so along a toll road, there would be a gate across the road. To get past it, you had to pay a toll. The amount varied according to the wear and tear you were causing the road surface. Pedestrians didn't pay anything, but if you were travelling in a cart or a carriage, or driving a flock of sheep or cattle, or a heavy farm waggon, then you had to pay up before the tollgate was opened for you. At first it was only main inter-city roads that were toll roads, but the system was later extended to minor roads like Addiewell. The person who manned the gate and collected the tolls generally lived in a tollhouse beside the tollgate. The tollhouse in Addiewell was at the junction of the village road and the Blackburn - West Calder road. The turnpike system was abolished in the 1880s. The toll houses were sold off or knocked down. Addiewell's tollhouse survived into the 20th century, but it's not known when it was knocked down.